It’s necessary to build your own Ubuntu distribution and burn it as a removable Live cd/usb if your’re not only working on a single machine. 1. First build your own ubuntu distribution. 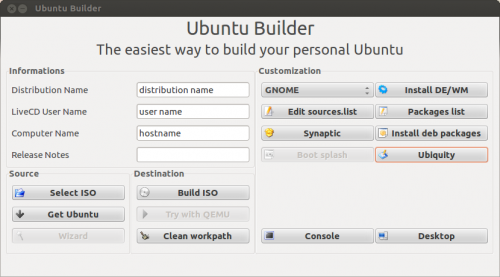 Ubuntu Builder is a simple tool to build your own distribution. It allows to download, extract, customize in many ways and rebuild your ubuntu images. You can customize i386 and amd64 images. Just download Ubuntu image from www.ubuntu.com. 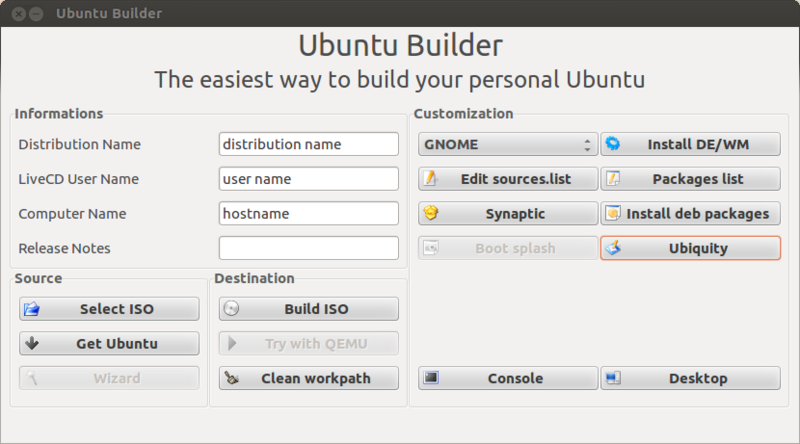 Launch Ubuntu-Builder, Select this iso and customize informations, desktop environment, click Synaptic to add/remove softwares, etc. Finally, click Build ISO to create your own distribution. There are several tools that burn Ubuntu images into removable media, running on Windows or Ubuntu Linux or muilti-platforms, such as Ubuntu Live USB Creater, Unetbootin, Win32 Disk Imager, and so forth. They’re easy to use, just choose image and removable media and burn it. 1 user responded in " Easily Build Your Own Ubuntu Distribution & Burn into Removable Device "